1. 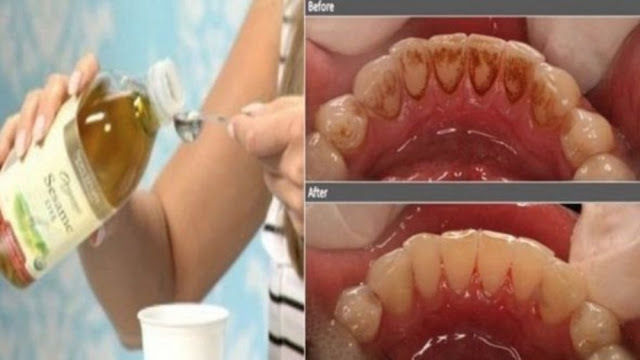 Put 1-2 teaspoons of the chosen oil into the mouth. 2. Swish for 20 minutes. The timing is important because this period of 20 minutes is long enough to break through plaque and bacteria. The oil will get thicker and milky and it should be creamy-white when spit out. 3. Spit oil into the trash can instead into the sink. Also, do not swallow the oil because it is full of bacteria, toxins and pus that are not in the mouth anymore.